Bernd Jager was born in Groningen, the Netherlands and studied agronomy at the Royal Institute for Tropical Agriculture at Deventer. As a young man he served as an agricultural assistant to Dr Albert Schweitzer in Lambarene, West Africa. He subsequently studied psychology at the Universities of Groningen and San Francisco and obtained his doctorate at Duquesne University in Pittsburgh, Pennsylvania where he studied under professors Adrian van Kaam, F.J.J. Buytendijk, Erwin Straus and J.H. van den Berg, the latter having had an outstanding influence on his life’s work. He has taught at the Universities of California, Louvain, Tokyo, Rhodes and Johannesburg, and ended his life teaching at the University of Québec in Montréal, Canada. 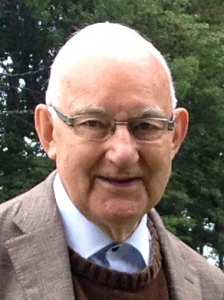 Professor Jager’s essays have appeared in numerous books and journals in the United States, Canada, Europe, South Africa, and Japan. The main theme of these publications is a critique of psychology’s over-dependence on the technology and methodology of the natural sciences and its general neglect of the wealth of knowledge about the human condition housed in the arts and humanities.